It’s generic and unrevealing but at least the YouTube notes tell us they’re now promoting 3rd-Gen Intel Core. That’s Ivy Bridge. Introducing Ultrabook the newest category in computing devices that will transform the PC experience. 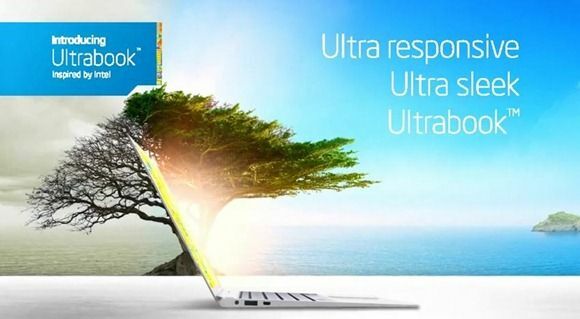 Ultrabooks give users the combination of Sleek . cool . responsive computing with the performance of a full PC. Enjoy High performance, amazing battery life , sleek design and increased security brought to you by the power of Intel 3rd generation core processors. Note that Intel do mention ‘2nd-Generation Ultrabooks’ and I don’t expect them to next week either. There will be a lengthy overlap of Sandy Bridge and Ivy Bridge Ultrabooks in the market at the same time. Look at the line-up from Sony, Lenovo, Samsung and others. Sandy Bridge is being used for the low-cost Ultrabooks and it could remain that way for the rest of the year. pne of the computer graphic-ultrabooks had the powerbutton encorperated in the main keyboard which looked sleek .. i wonder does any ultrabook in reality feature this? « Gigabyte X11 and Luvbook X – Separated at Birth.